I always think you can tell a lot about a person by their guilty pleasures; those daily joys that lead a trail of breadcrumbs back to their heart (and possibly their current mental state). The thing is, someone else’s guilty pleasures are often quite surprising, making you exclaim “I did not KNOW that about you”. To completely misquote Forest Gump, people are like Kinder Eggs. You never know what you’ll find hidden inside. My number one rule about guilty pleasures, though, is never to laugh at another person’s. Why deny someone a route to happiness (assuming it’s legal and on the right side of healthy), even though their habit may run counter to whatever you think is ‘cool’? This rule does not, of course, extend to the Husband’s love of shouty Viking rock which I view as being bad for everybody’s health, even if it is legal. The great motivational author and speaker, Anthony Robbins, teaches us that we most of the things we do are to avoid pain and to gain pleasure. Actually, in terms of bad habits if you find what the pleasure (hidden or not so hidden) in carrying out that habit is, then you’ll be in a much stronger position to deal with it. But I digress. Having now made it plain I do not expect you to laugh uproariously at my guilty pleasures, here’s a couple for you to wonder at. 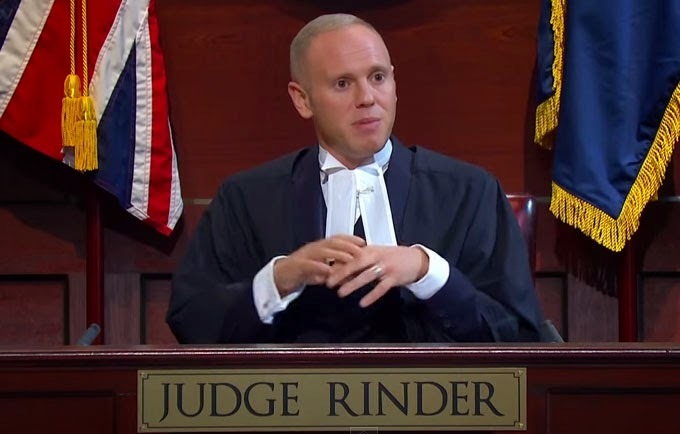 I love Judge Rinder – the UK’s answer to Judge Judy. Yes I know the show is camper than a field of yurts but I find the afternoon court session highly entertaining. Who wouldn’t have wanted to shout out in the middle of a board meeting “I’m going to write that IN BIG” or “I can smell a lie like a fart in a lift”? Oh the fun I could have had in meetings. I find my mind boggling at the relatives who take their own family members to court for a couple of hundred pounds simply to be on the TV. And then there are those who, to quote Judge Rinder, just vanish “up the cul-de-sac of stupid”. The Husband hates it of course, which adds that extra frisson of rebellion to watching it. 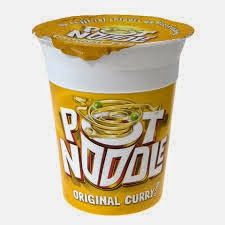 My idea of a balanced meal when I was a student in Swansea Uni was a spicy curry Pot Noodle, a small tin of Ambrosia Rice Pudding all washed down with a packet of cheese & onion crisps and a mug of tea. You can play a sort of game with yourself which I like to call “is the Pot Noodle edible yet”. This involves picking out the noodles before the four minutes are up in the hope that you won’t crack your teeth. 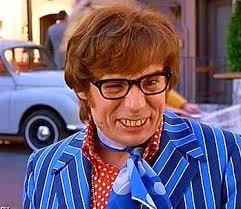 Some films just make you snort with laughter and the Austin Powers films do that to me. A handy source of witty riposts for all social occasions e.g. “and I want a solid gold toilet but it’s just not in the cards now, is it?”. Useful, no? Or how about “why take the escalator when I have a perfectly good canoe right here?”. 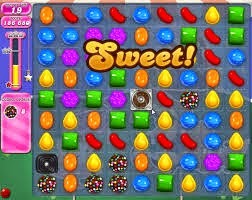 And lastly ( and probably most shamefully), Candy Crush. They say sugar is addictive and this certainly is. But I find it soothing and I can rationalise away the many hours I’ve wasted on it because, er, it’s collaborative, isn’t it. You help others by sending them lives. It, um, improves your pattern recognition. I’m sure spotting things in rows of 3, 4 and 5 must be useful somewhere in the Universe and, ah, it’s low calorie. Genius. I’m looking forward to hearing about your guilty pleasures! If you like what you’ve read please share on Facebook or Twitter by clicking the icons below. Thank you! "Home Sweet Home – A Right or A Privilege?" Lol Judge Rinder *almost* made it onto my list! But I didn't feel I watched it often enough to count. Loose Women on the other hand…. I still love Candy crush and the new one, Candy soda crush or whatever it's called…. Loving the Candy Crush confession. My secret gaming love is Hay Day. Playing it now when I'm supposed to be working!